As the name suggests, this one is white! We've crossed some of the finest Indicas we have with something a little special, to produce what I'm sure you'll agree is a perfect indoor cropper. Not too tall, heavy yields, sweet to taste and simply powdered with whiteness. Already Kiwiseeds most sought after variety and now in feminised version, a superb blend of sugar and spice, and a strong stoney high are what to expect from this lady. 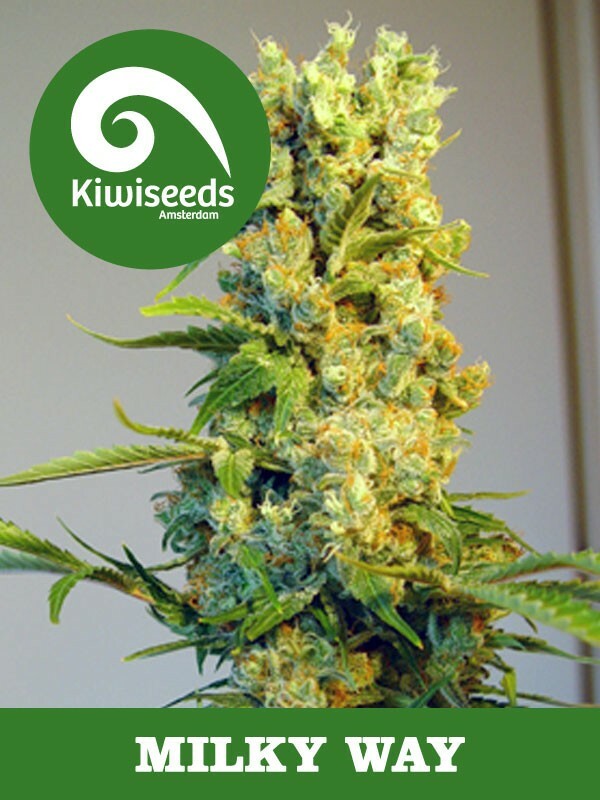 For a grow without a fuss, we now have Kiwiseeds in Feminized, so that you can be sure that every plant you sow, you will harvest! Watch the crystals and don't harvest until 1/3 turn amber in colour for best results. Cannabis for connoisseurs! As the name suggests, this one is white!! We've crossed some of the finest Indica's we have with something a little special, to produce what I'm sure you'll agree is a perfect indoor cropper.